What watches do you accept? Our buyers purchase high quality, luxury timepieces of the top brands that include Rolex, Cartier, Patek Philippe, IWC, Omega, Breitling, Panerai, and more. Bottom line, if you see a quoted price for a watch, we accept it. What if I don't see a quoted price? If you don’t see a quoted price, it’s due to the market not being large enough for us to offer you a bona fide price. Given our promise to offer you a real time market price, we must have sufficient buyers to honor your quoted price. How do I ship my watch to WatchFacts? Once you have accepted our offer, send via fully insured UPS package. Pack your timepiece(s) securely, affix the label to the outside of the shipping box, and drop it off at your nearest UPS Customer Center. To find your closest UPS Customer Center, please click here. Why is selling on WatchFacts risk free? What steps can I take to ensure my watch will arrive safely? 1. Package it in a plain box with nothing on the outside but our pre-paid UPS shipping label. 2. Do not reveal to anyone at UPS what is inside your package. Why do you need my ID to process payment? We need to see your ID and all the information on it to verify your identification for protection against fraud and the selling/purchasing of stolen goods. What does WatchFacts do with my personal information? When you choose to sell your timepiece, a customer account will be created in your name with your contact information. What if I decide to no longer sell my watch after starting the selling process? Not a problem. Please let us know right away, and we will ship your watch back to you with no questions asked. The value of your watch is mainly determined by the current demand in the pre-owned marketplace. 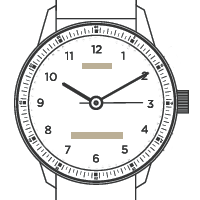 We have a proprietary algorithm that automatically pairs your watch with several of our pre-owned buyers who are prepared to pay the quoted price and are bound by our terms. This is a real market indexed pricing module that changes based when these same buyers change their prices so you are always offered a “fair market” price for your item. Why is there a range on your offer price? 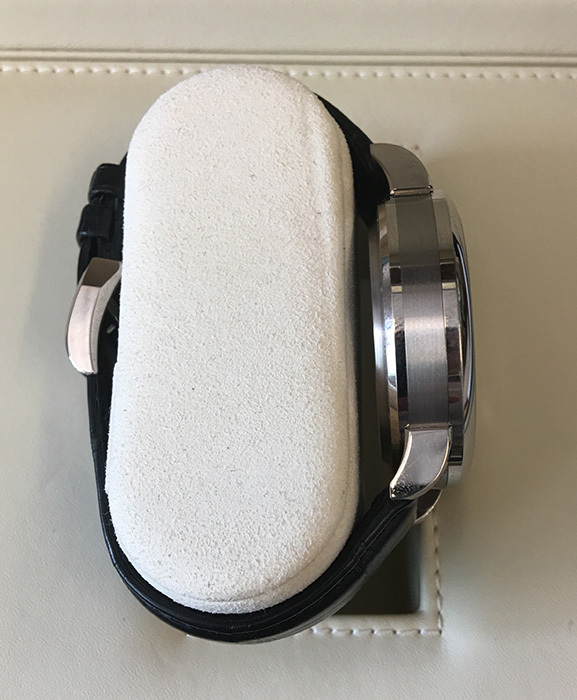 The condition of your watch can have a significant effect on the value of your timepiece, which cannot be confirmed until we have inspected it in person. 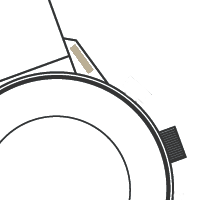 Why is there a range on the What's My Watch Worth graph so wide? When the market low and market high on the graph are very wide, this means there is not as much liquidity on this item because it is not traded as often therefore there is not as much data available. What does it mean when the range on the What's My Watch Worth graph is small? When the range between the market low and market high on the graph is small, this means this is a watch that is heavily traded. How long is the data period on the What's My Watch Worth graph? The data on the graph is refreshed everyday as there are many trades going on daily. The data stays in our database for 60 days. Can I trade-in my watch for another? While we don’t offer a formal trade in program, you can sell your watch for quick cash and purchase a new watch in one of our partner online stores. Does your offer on my watch ever expire? Yes. Unfortunately, due to changing market conditions e.g. holidays, new model introduction, currencies fluctuations, etc,, our offer is good for 7 days from when the offer is made. After that time, you must resubmit your timepiece to us. Why wasn't my watch accepted? 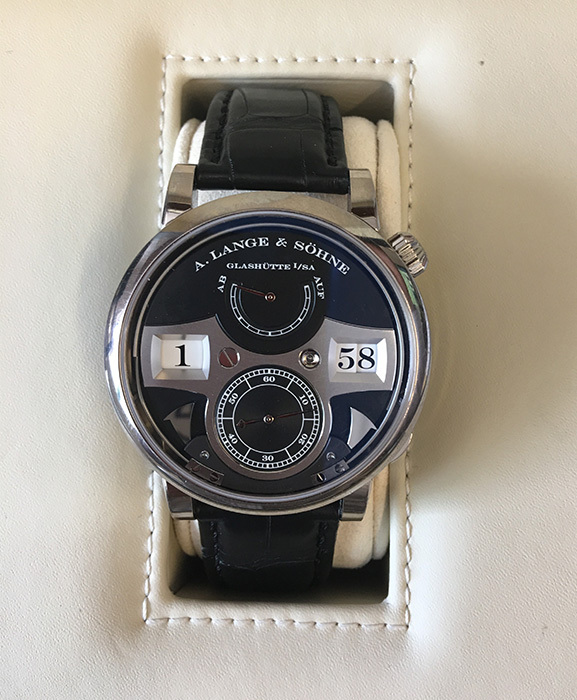 There are a few circumstances under which we will refuse a watch, such as: if the condition is very bad, if there was a miscommunication about the model, or if the watch contains after-market or non-authentic parts. What happens after I send my watch to you? 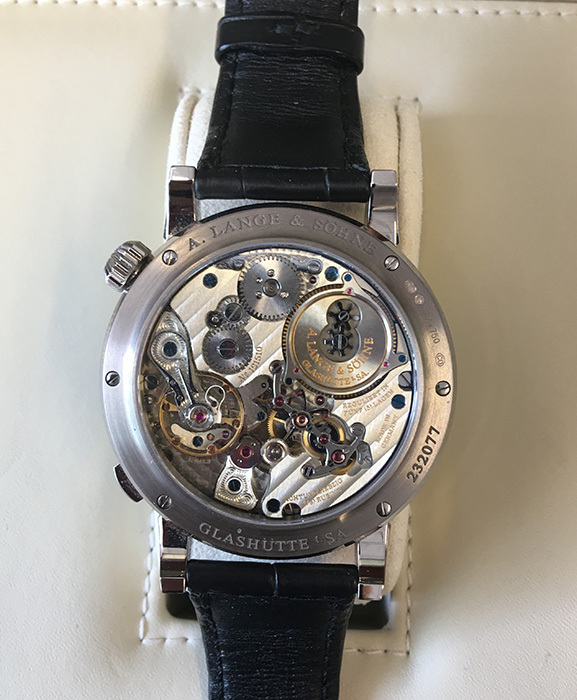 Once your watch arrives at our facility in Miami, FL, one of our expert technicians will perform a detailed examination to determine the final value of your timepiece. A final offer to you within 7 business days. If you accept, we will process your transaction immediately. If you decline, we will ship your watch back to you with no questions asked. How can I check the status of my transaction? Please email us any time at concierge@watchfacts.com. 1. Always double box to help prevent break-in (most boxes fit inside each other). 2. Wrap your item with bubble wrap and place it inside the inner box, then seal inner box and place inside the outer box. 3. Seal the ends of the box with extra tape to help prevent break-in. 5. Do not use words describing valuable contents on the label; such as jewelry, gold, coin, or items perceived as having a high value. It is better to use an abbreviation or person's name on the package. 6. Make sure you are named as the sender. 7. Never drop off the package at an unsupervised dropbox. Only drop of your item at with an authorized employee and keep a label receipt and proof of drop off receipt. *NEVER SHIP ON FRIDAYS, WatchFacts is closed on weekends. Once our final offer is accepted and processing begins, it may take up to 7 business days before your check is mailed. You can check on the process at any time by emailing us at concierge@watchfacs.com. Yes, we offer consignment services. The price quoted is valid for 90 days. What are your consignment fees? We charge a revenue share of 12% on the final sale price of the watch. What if my watch does not sell during the consignment period? If we do not sell your watch during the consignment period within the reference price range, we will return your watch free of charge. No questions asked. How are the consignment watch prices determined? Our sellers sell on many of leading platforms allowing us to assess how long it will take to sell your product based on the quoted price. What preparation is performed on the watch prior to selling it? We spend time and resources making your watch "ONLINE RETAIL READY". This means inspecting your watch and preparing it to be sold online including polishing, service and providing a warranty. What if I want my watch back before the consignment period ends? 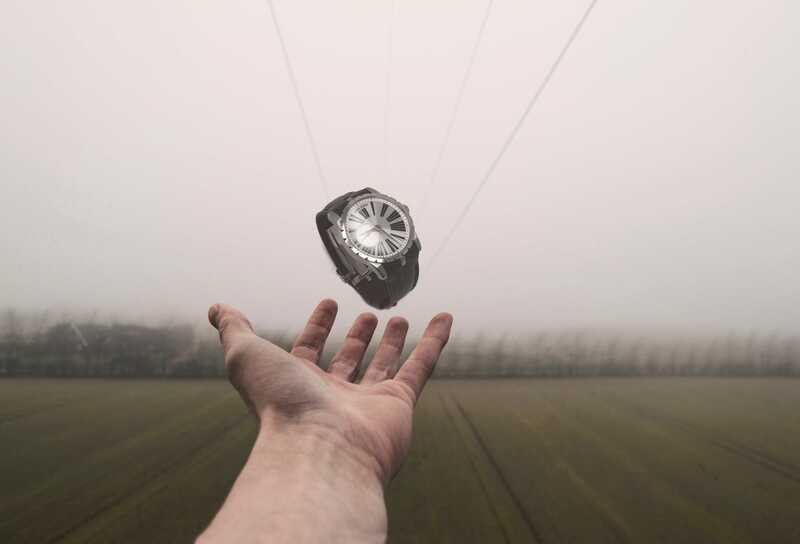 You are welcome to retrieve your watch anytime; however by not allowing the watch the appropriate time to sell we must invoice you for the investment we made to sell your timepiece. Please read carefully in order to get the most accurate estimate for both quick cash and consignment offers. 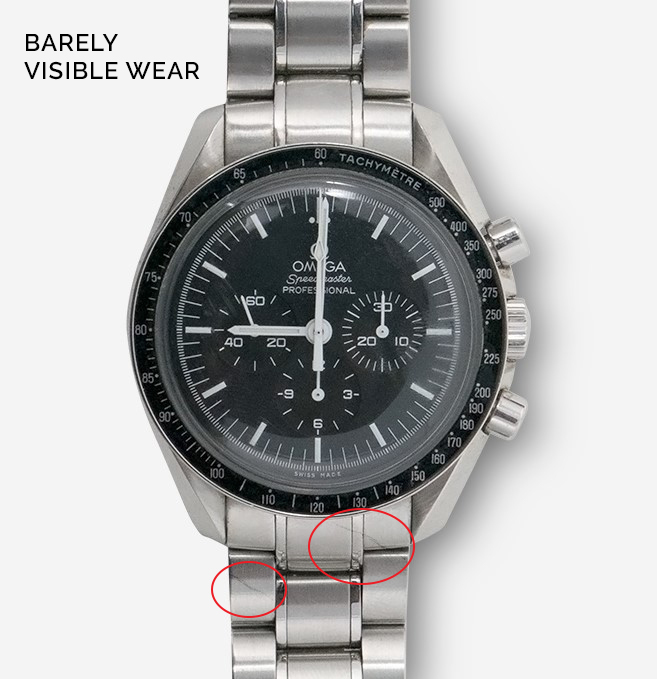 Watch shows scratches that are subtle, light and minimal. 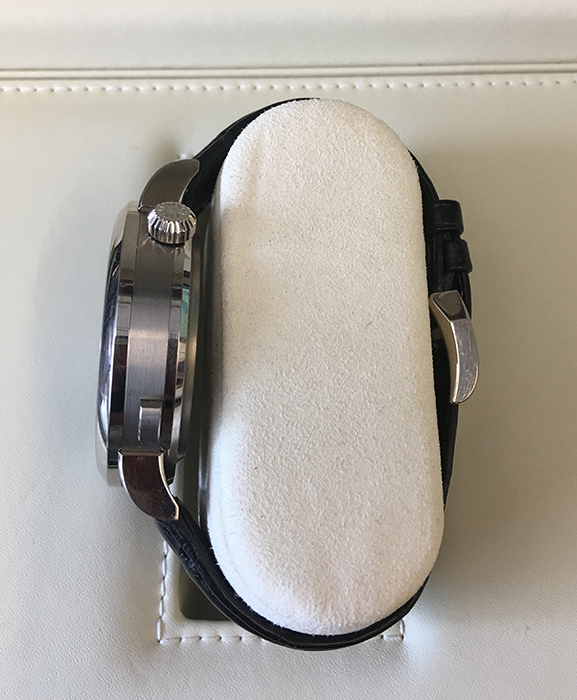 The case should exhibit no dents or dings and the bracelet should show little wear or stretch. The watch is working perfectly, keeping time according to manufacturers specification and needs no mechanical service. May be missing box and papers, links and other accessories. 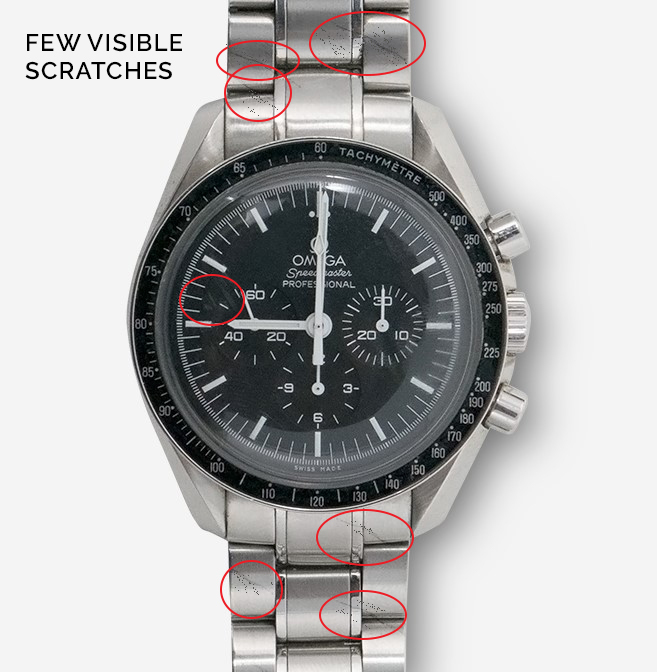 Watch shows some evident scratches, but no significant nicks or dings. Dial shows limited aging / wear and all dial pieces are intact. 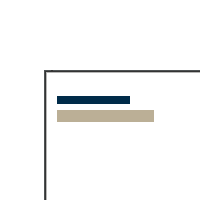 In some instances, the dial may have been redialed. 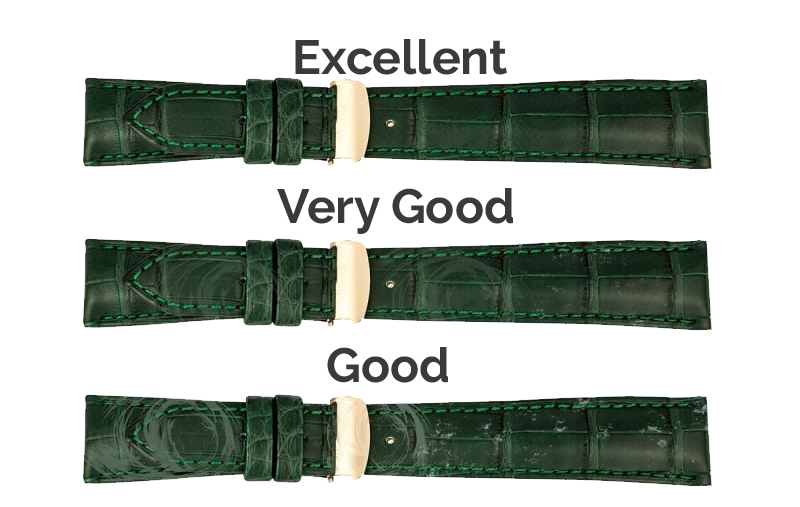 The watch presents well, but may be missing a few accessories such as a link, box, or papers. The watch is working very well, keeping time according to manufacturers specification and needs no mechanical service. Refer to the Comments section and Seller notes in the Certification Report for more details. Watch has no fundamentally incorrect features, but it has been enjoyed extensively. Dial may need refinishing. May have no more than one loose marker. The case will show dings, nicks, or deep scratches. 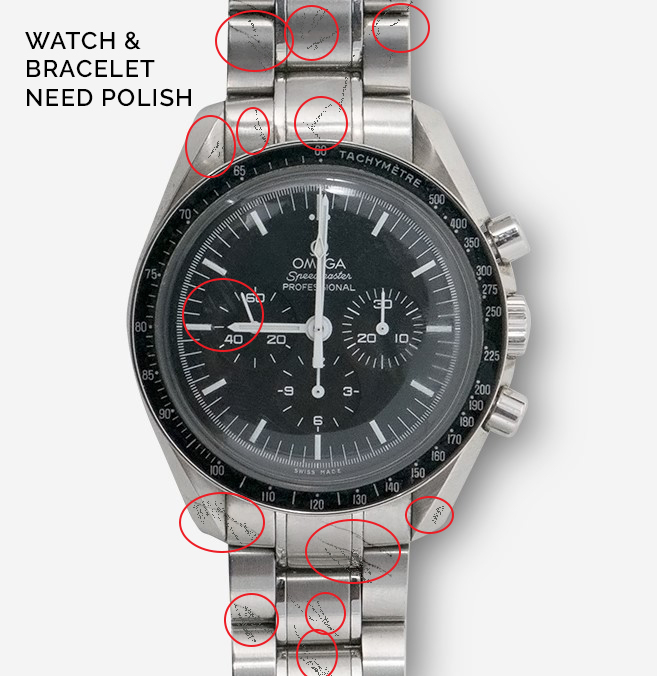 The watch may be missing a few accessories such as a link, box, and papers. 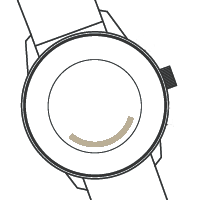 The watch is running and wearable, but may gain or lose a few minutes over a twenty-four hour period and service may be required. Refer to the Comments section and Seller notes in the Certification Report for more details. Please make sure to model your main photos after the photos below: head on image, caseback, left side and right side. Also, feel free to include images of the box & papers. *Please make sure you are in a brightly lit area when taking photos. Where Can I Find My model or Reference Number?